Piece of Me. Comic Search. Piece of Me. 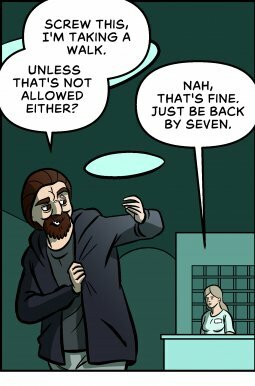 A webcomic about super secret codewords. Piece of Me. A webcomic about garage problems and getting stuck. Piece of Me. 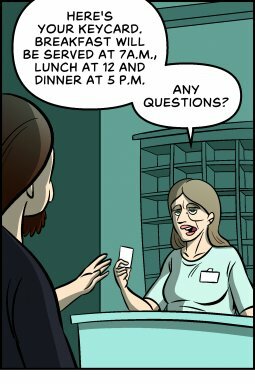 A webcomic about doctor stories and disbelief. Piece of Me. 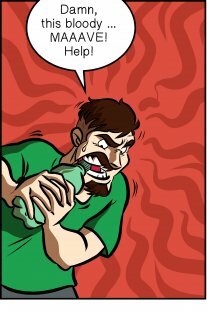 A webcomic about fast food joints and technical difficulties. Piece of Me. A webcomic about cooking and "new" technologies. Piece of Me. A webcomic about weapons in trunks. Piece of Me. 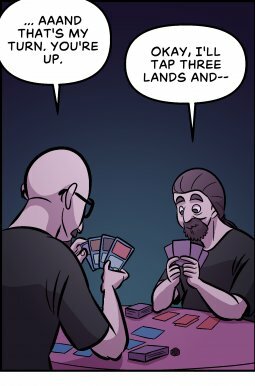 A webcomic about MTG matches in unfitting places. Piece of Me. 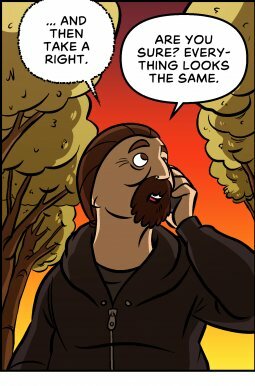 A webcomic about traffic lights and wifi. Piece of Me. 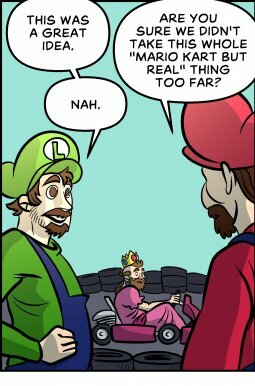 A webcomic about go-karting and taking things overboard. Piece of Me. A webcomic about apocalypses and old legends. Piece of Me. 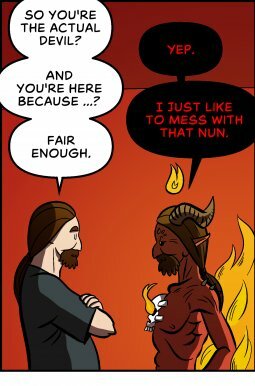 A webcomic about meeting the devil and underwhelming wishes. Piece of Me. 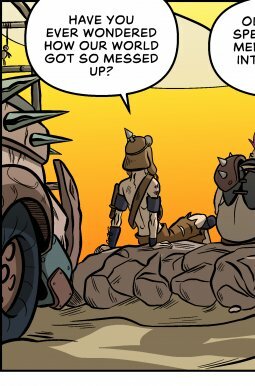 A webcomic about a confusing journey and a defeated return. Piece of Me. A webcomic about going on a walk ... and getting lost. Piece of Me. A webcomic about the awfulness of cure vacations and small joys in life. Piece of Me. 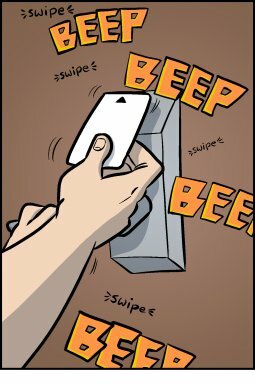 A webcomic about seemingly broken keycards. Piece of Me. 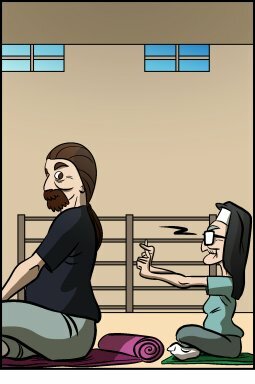 A webcomic about superstitious and nervous nuns. Piece of Me. 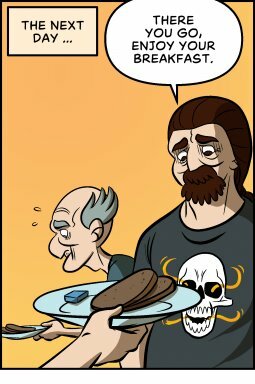 A webcomic about a sparse breakfast and passive aggressive prayers. Piece of Me. 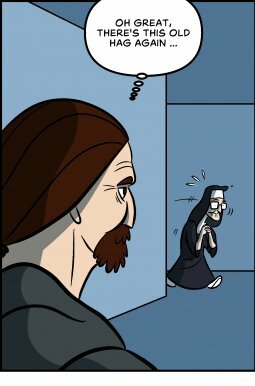 A webcomic about a very warm reception and paranoid nuns. Piece of Me. 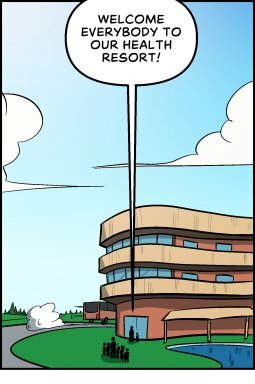 A webcomic about health resorts, far away from any kind of civilization. Piece of Me. A webcomic about giant cats and something completely different. Piece of Me. 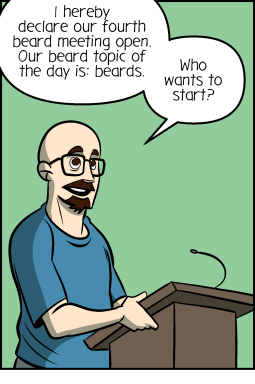 Bearded dudes anonymous. Piece of Me. A webcomic about Mave's only weakness. Piece of Me. A webcomic about music players and technological marvels. Piece of Me. 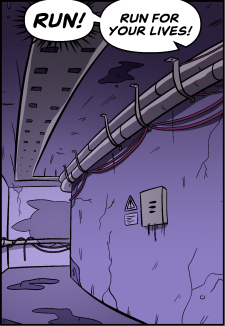 A webcomic about electricity and unfortunate timings. Piece of Me. 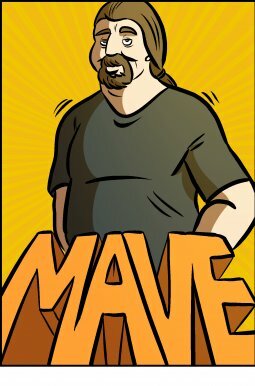 A webcomic about architects and strange measurements. Piece of Me. 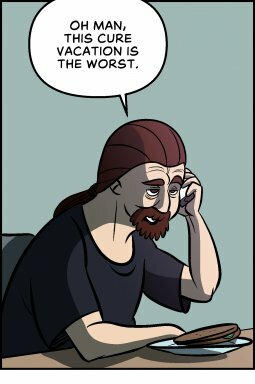 A webcomic about new characters and tricky situations.